Juniper Networks MX Series 3D Universal Edge Routers for the midrange offer a scalable and flexible upgrade path for enterprise and service provider customers. Comprised of the MX5, MX10, MX40, and MX80 3D Universal Edge Router, the MX Series for the midrange has been designed to provide the 3D scaling necessary to address today’s advanced feature requirements even in the smallest of environments. 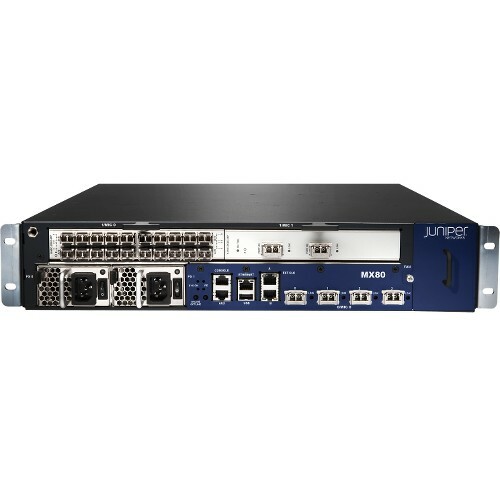 Powered by Juniper Networks Junos operating system and high-performance Junos Trio chipset, these midrange routers can be upgraded using software licenses to scale to meet changing business requirements. This scalability further enables informed network purchasing decisions.